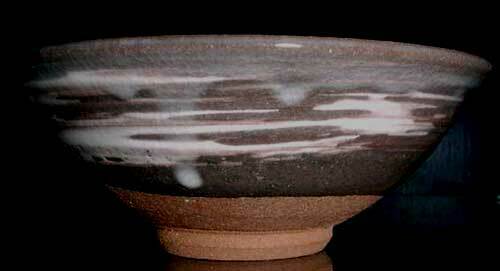 More and more potters, galleries and collectors of ceramic art can be found on the net. This site will be dedicated to Japanese pottery in the broadest sense, but seen from my personal point of view. You may also find remarks on Chinese or Korean pottery (being part of the roots of many Japanese artists) and of course on 'western' pottery (often taking a leaf out of Japanese pottery's book - and often less expensive...). Compared with a painting, they have many different sides. You can touch them, hold them, feel them. You can (must) fill them with tea and enjoy the experience. But above - or below - these aesthetical dimensions there are many more: The chawan even offers philosophical, religious, geographical and political insights! You don't believe me? In the meantime you may vistit my little site (klick here) (with interesting parallels to pipe smoking, too, but only in German, sorry). I am working on some English information, but you can already find some good links in English when browsing here.